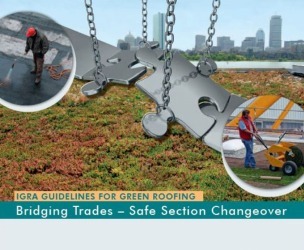 IGRA is a global network, for the promotion and dissemination of information on Green Roof topics and Green Roof technology. 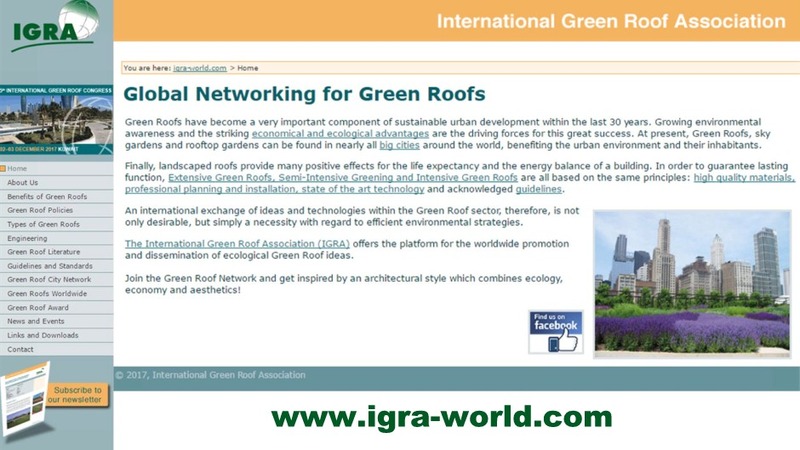 Networking: IGRA´s international Green Roof platform facilitates the exchange of experiences among the members of the network. 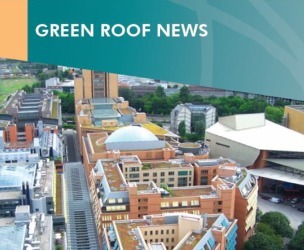 Newsletter: The newsletter “Green Roof News” presents new developments in Green Roof technology, outstanding Green Roof projects, activities of IGRA members and a calendar of Green Roof events. 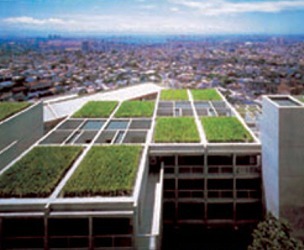 Conferences: IGRA has initiated the “International Green Roof Congress” series in 2004. 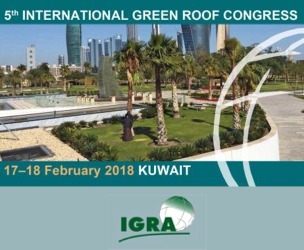 The fifth event will take place in Kuwait in February 2018 with a special focus on Green Roofs in dry climates. Global Networking for Green Roofs!